Prior to the surprise proposal, we photographed the location to provide establishing shots, giving the series of photographs a sense of place. The couple will always be able to look back at their Paradise Cove proposal photography and relive that special moment. 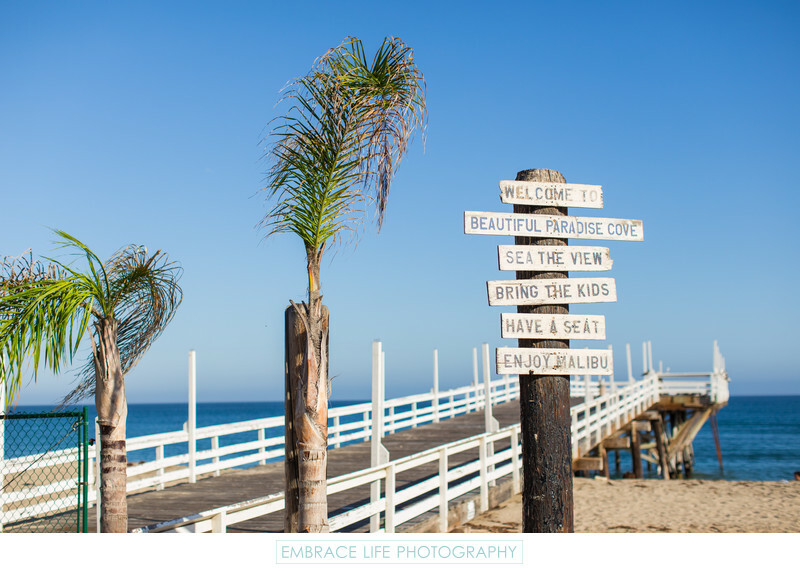 This is a shot of the beach, pier, palm trees and cute signage.